Daredevil watches over Hell's Kitchen, ready to protect it from the criminals of the night! 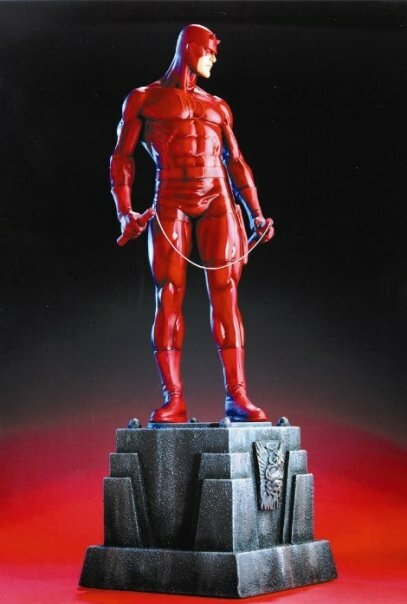 This vibrant blood red representation of the classic Marvel character depicts his heroic form standing atop a gothic display base. This piece is inspired by the work of Joe Quesada and Jimmy Palmiotti and sculpted by Randy Bowen. and stands approximately 14.5" tall. It is a limited edition of 4,000. There is also a yellow and black costume variant of this statue.